Here is a smart phone that isn’t a big stand-out but still manages to boast at least a couple impressive features: namely its extended battery life and front and rear-facing cameras. The Huawei Honor isn’t state-of-the-art but it surely isn’t at the end of the pack either. All-in-all, this is an impressive phone given its mid-range price point and ability to hold a battery charge – especially allowing that it’s an Android-enabled phone and they tend to get their batteries drained by that power hungry Android OS. This oblong black phone does look longer in your hand than most other smart phones – and there’s a good reason for that: it’s got a 16:9 display aspect ratio. The 4-inch HD FWVGA screen looks great even when viewed from a distance and you can’t help but think this looks a little bit like a Sony PSP, which is fitting for our post iPhone era when phones look more like toys than communications devices. 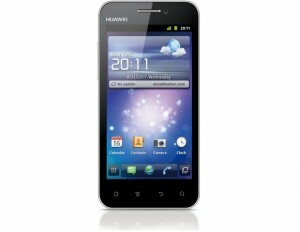 The Honor is an Android 2.3.5 Gingerbread smart phone responds well to touch navigation and displays video crisply. It contains a 1.4 GHz processor with 512MB of RAM – while not the fastest kid on the block you can still navigate the Internet and run your apps smoother than many. It is expected to launch at around a $300 price-point, although that isn’t fully confirmed yet. The 8 Mega-Pixel rear camera works quite well and the 2 mega-pixel front-facing camera is decent enough for capable video chat. However, the increased battery really is the marquee selling point here. Huawei claims users can share and connect for up to three days on a single charge – which amounts to the longest battery life among smartphones in the 4-inch screen size class. That’s an attractive prospect, especially in the Asian markets where the phone is slated to launch first. Honor has a 10.9 mm-thin body and weighs just 140g. It will only be available in black at first, with more colours on the way later in 2012. It features a Gyroscope for better gaming and Huawei boasts that it is DLNA-certified which ensures interoperability with other DLNA-certified devices such as digital cameras, game consoles and TVs. Again, the visual comparisons between this phone and the Sony PSP become relevant: it seems as if Huawei is trying to attract gamers with this design. There is 4G of ROM memory with a memory card slot that allows you to take that all the way up to 32GB.WiFi and Bluetooth 2.1 are supported, and the Honor also contains an FM radio, which is an interesting little niche feature. While Huawei is known for having lower-end products, this definitely puts them on the map squarely in the middle of the pack – perhaps even nipping at the heels of the lead. I got this phone as I am student on a budget, and was a bit skeptical as it wasn't a "known" brand, but it's actually pretty cool. No complaints from me - when I have compared with mates iPhones or Galaxy phones, it's not far behind, bit heavier but I don't mind that at all.